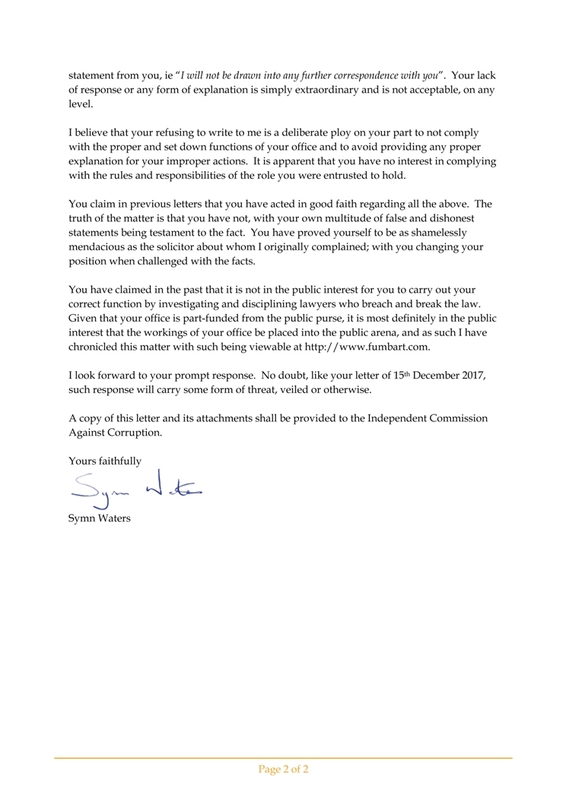 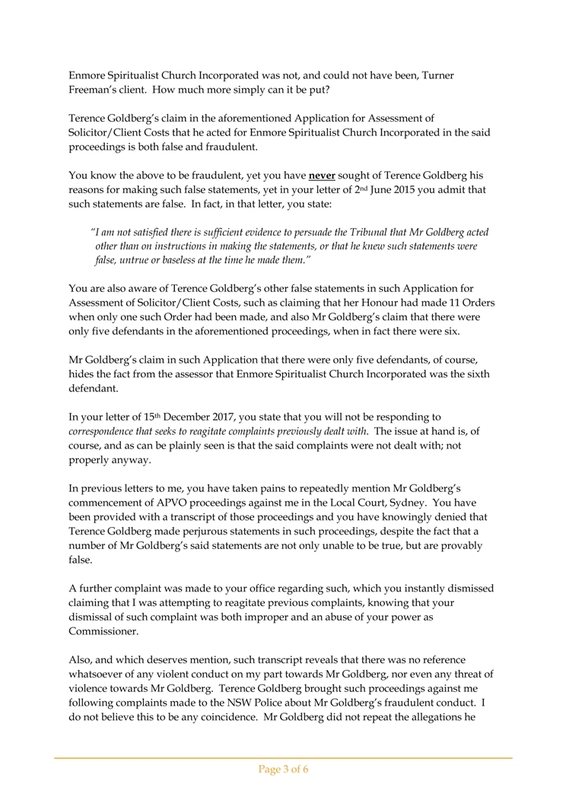 "It is of note that you have been made aware of the said conduct issues on numerous occasions and you have neither replied to any correspondence sent directly to you raising such concerns, nor have you provided comment, with the said conduct issues remaining unresolved." 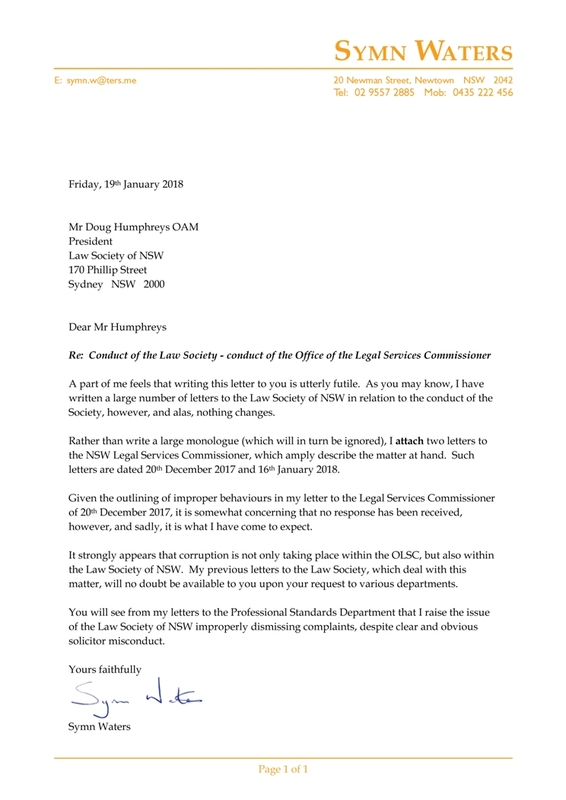 Click here for the pdf version of the above letter to Doug Humphreys, President of the Law Society of NSW: 2018 07 05 - Letter to Doug Humprheys - conduct of OLSC. 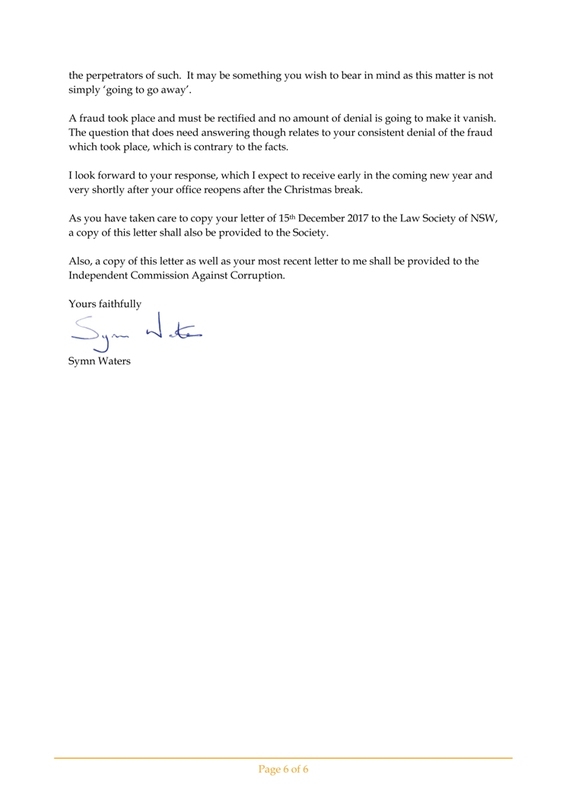 A copy of the attached letter to the Office of the Legal Services Commissioner of 28 June 2018 can be found here. 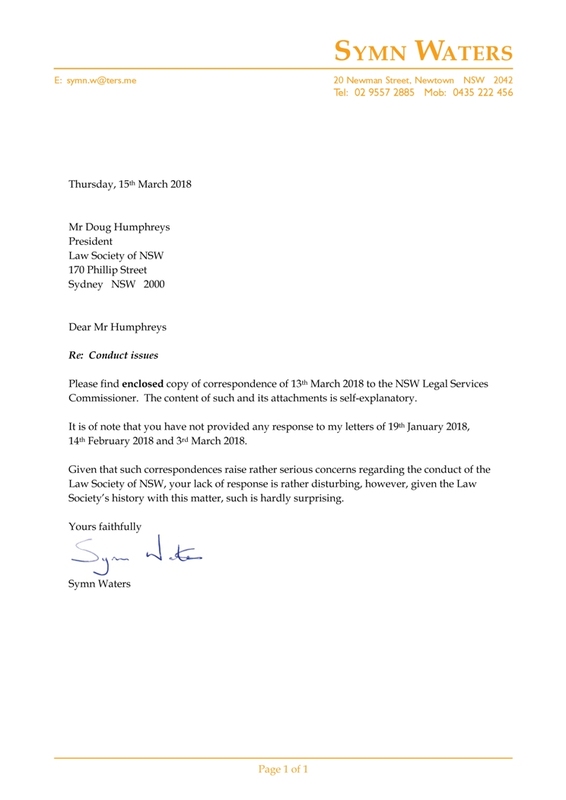 "It is of note that you have not provided any response to my letters of 19th January 2018, 14th February 2018 and 3rd March 2018. 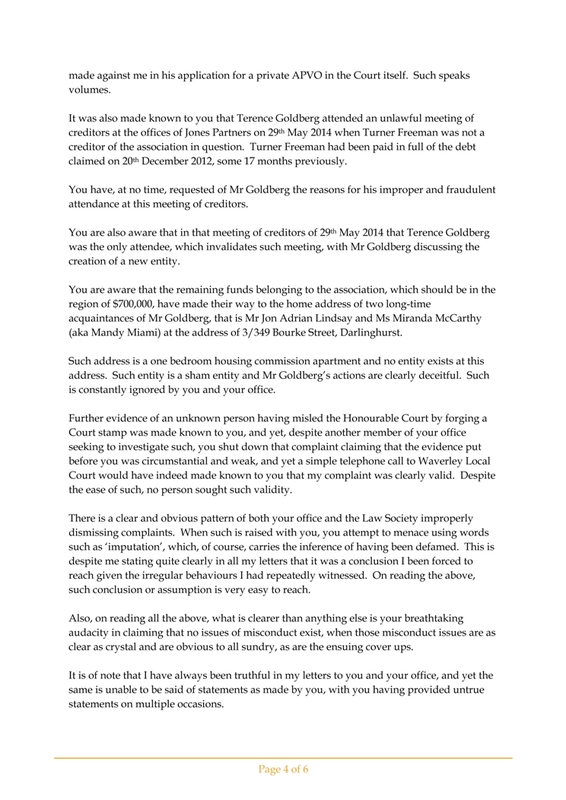 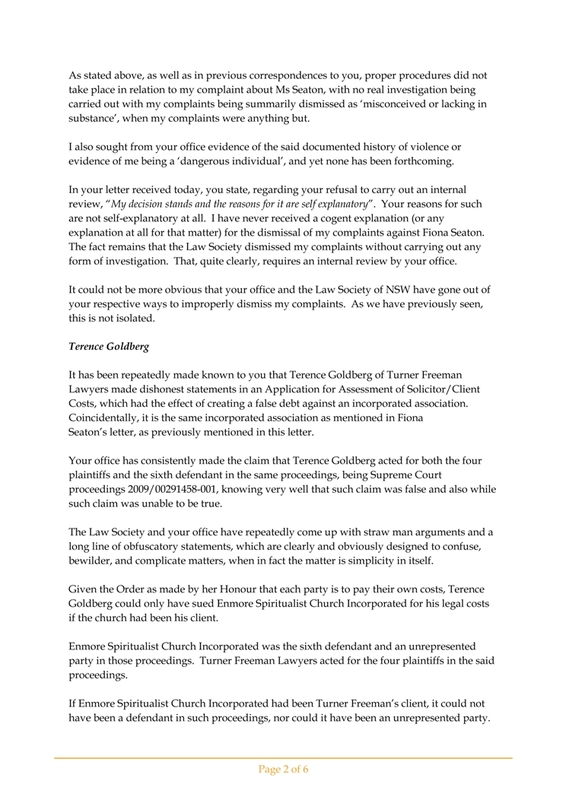 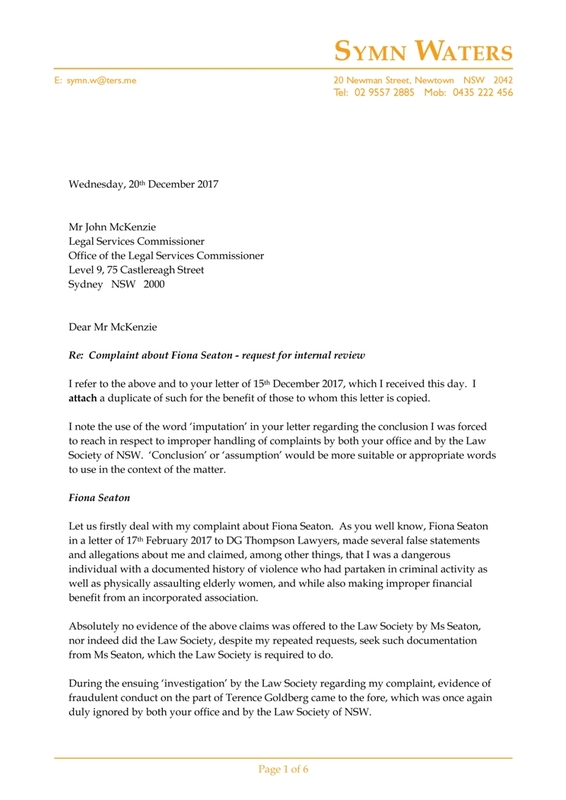 Given that such correspondences raise rather serious concerns regarding the conduct of the Law Society of NSW, your lack of response is rather disturbing, however, given the Law Society’s history with this matter, such is hardly surprising "
Click here for the pdf version of the above letter to Doug Humphreys, President of the Law Society of NSW: 2018 03 15 - Letter to Doug Humphreys - Letter to OLSC. 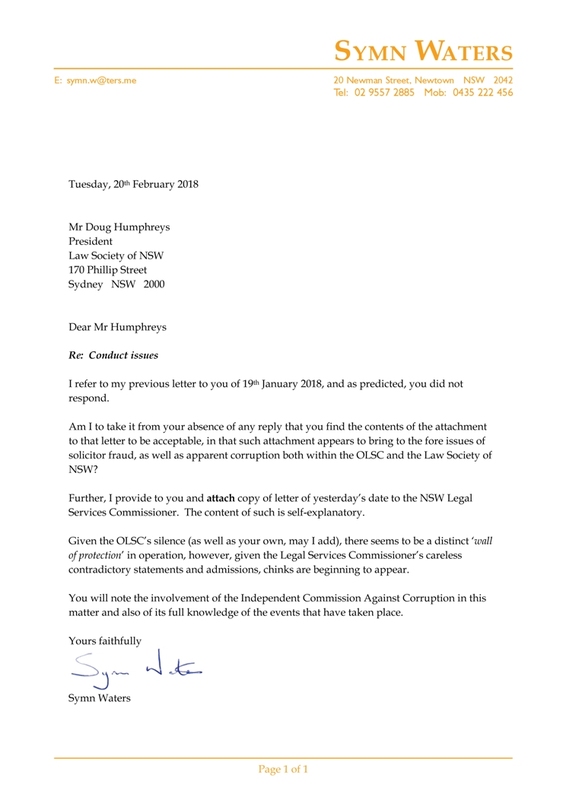 A copy of the attached letter to the Office of the Legal Services Commissioner of 13 March 2018 can be found here. 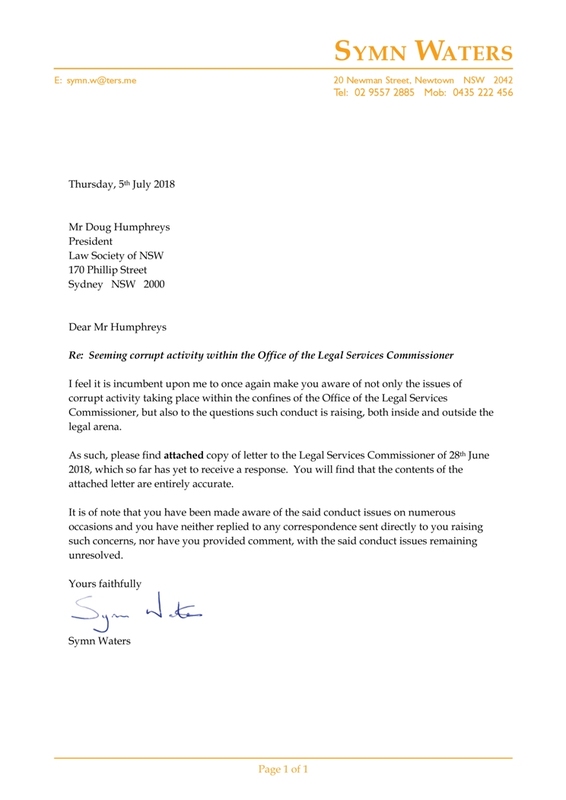 "Given the OLSC’s silence (as well as your own, may I add), there seems to be a distinct ‘wall of protection’ in operation, however, given the Legal Services Commissioner’s careless contradictory statements and admissions, chinks are beginning to appear." 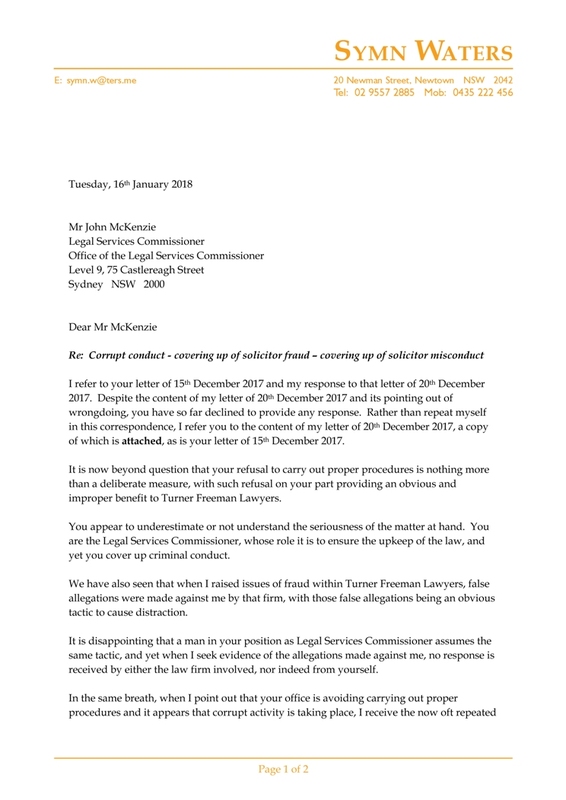 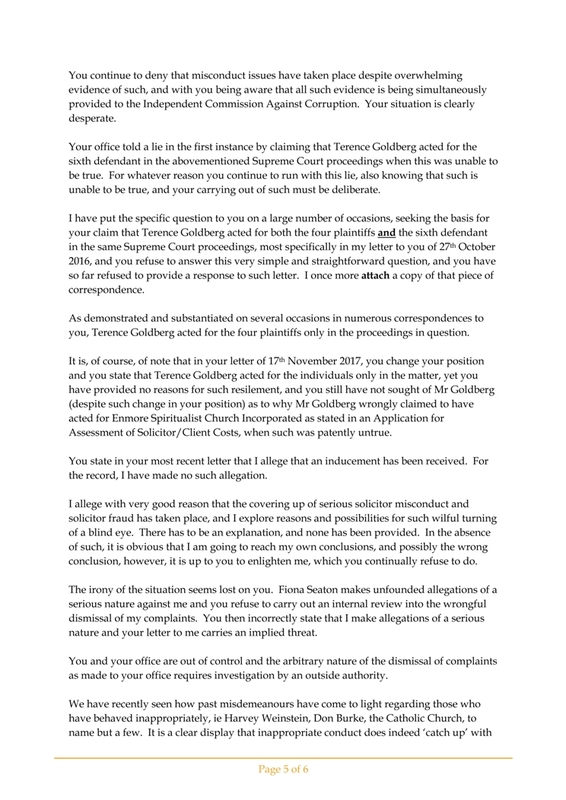 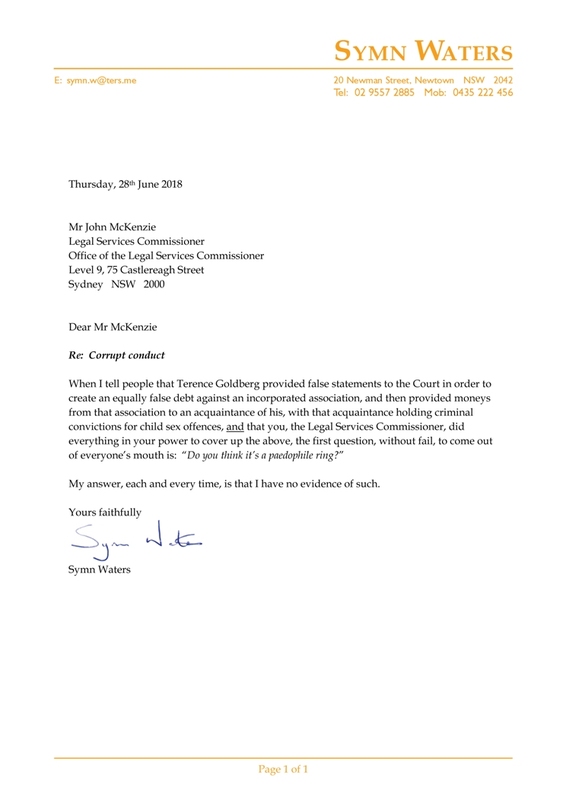 "Given the outlining of improper behaviours in my letter to the Legal Services Commissioner of 20th December 2017, it is somewhat concerning that no response has been received, however, and sadly, it is what I have come to expect."